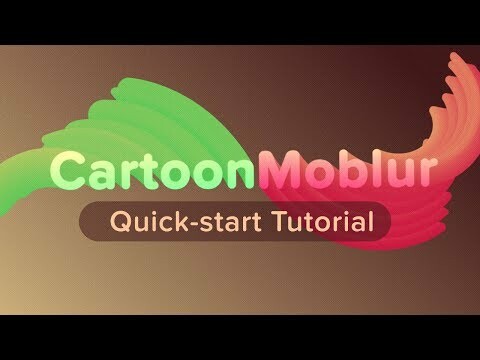 Cartoon Moblur behaves similarly to default motion blur except aesthetically it is much more suited to flat, minimal, 2D and cell styles. The blur is generated based on your transformation animation. Adding extra zing to text animations. Creating intricate transitions with ease. Creating complex faux 3D elements (especially logo stings). Making simple iconography look awesome. Everything you'd normally use default motion blur for. Compatible with all transformations, including 3D. Compatible with bezier path (aka curvaceous) animation.